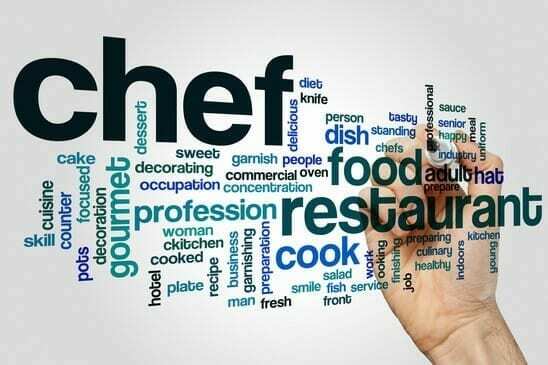 How to become a chef – Firstly, over the past decade or so, the skyrocketing popularity of shows like MasterChef has inspired a boom in the number of people desiring to enter the culinary field. It’s a great time to get into this robust industry, and there are a number of paths to take to make that happen. There are no official rules requiring you to go through an accredited course in order to become a professional chef in the UK, however if you do have the time and means to complete culinary training courses, it will give you an advantage by equipping you with the correct technical skills to start your career off on the right foot. Those who opt out of the professional education route will need to spend a considerable amount of time working in kitchens with skilled and knowledgeable executive chefs in order to learn the ropes through experience. There is a generous suite of choices when it comes to becoming a chef in the UK. You may opt to obtain a traditional two-year or four-year culinary or hospitality degree. When considering how to become a chef colleges and universities such as Westminster Kingsway and Northumberland also offer the Professional Chef Diploma course. Also, this is more of a fast-track cookery training course. The NVQ (National Vocational Qualifications) Diploma is a nationally recognised certification and consists of three levels. Typically done on a full-time basis, each one lasting a full school year. NVQ Level 1 provides basic practical cooking skills and an overview of the catering and hospitality field for those interested in becoming a chef in the UK. This course is generally followed by progression to the NVQ Level 2 course. The second portion of the NVQ course is appropriate for those who have completed Level 1, and/or are already working in the food preparation, catering, or hospitality industry and wish to advance their skills and job prospects. If you haven’t completed Level 1, you will typically be required to undergo an interview. Some colleges allow you to complete Level 2 on a part-time schedule, which is a convenient option for those who are working while going to school. The NVQ Level 3 Professional Cookery Diploma provides more advanced, sophisticated techniques. 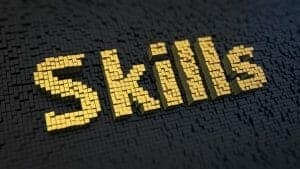 These skills help those aiming to become a chef in the UK to market their skills to high-end establishments. Completing all three levels of the NVQ Food Preparation and Cookery Diploma course is an effective way to hone your skills and make you more marketable as a professional in the hospitality industry. Once you’ve successfully become a chef in the UK, you may opt to move on to the Advanced Chef Diploma course. This is a highly concentrated course lasting 30 days and designed for chefs who already work in the culinary field. It covers additional knowledge on health and safety, technique, and equipment. Whether your dream is to start a catering business in the UK or become a chef in a high-end restaurant, acquiring all the knowledge you can put you on a solid path to making that dream a reality.